I was first introduced to this place in 1998 by my friends who lived in Vegas. 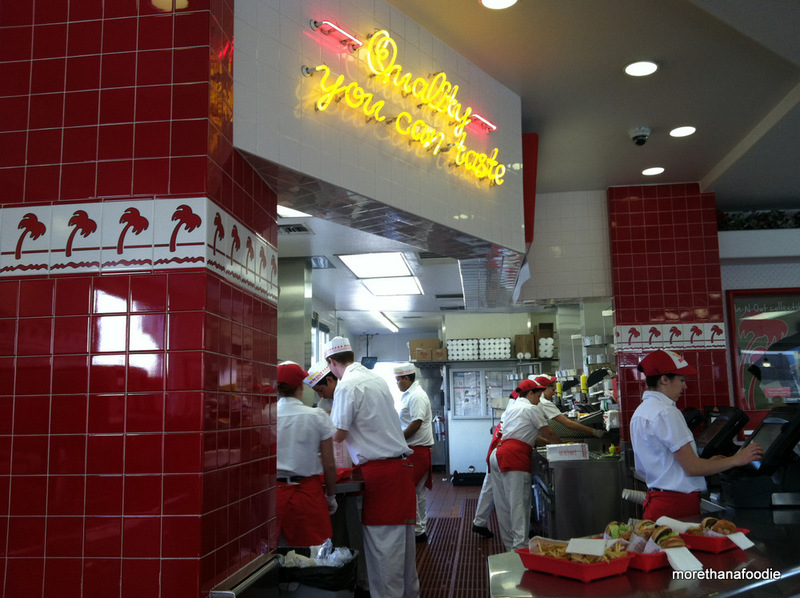 Now, whenever we travel to Las Vegas we try and stop at IN-N-OUT Burger for their wonderful food. Sometimes it is even the first stop off the plane! I stopped here for lunch one day while Chad was at his conference. I ordered their regular cheeseburger with onion. This was enough for me but there are also bigger burgers like a Double Double. Double the meat and double the cheese. Staff is always friendly and efficient. The published menu is simple and they mean business so be ready to order. Get your drink while you wait for your number to be called. Fresh-cut fries. I would suggest well done fries and an extra side of “spread” to enjoy them. Ketchup is good too if that is your thing. I can describe as fresh, hot, juicy, onion-y, yumminess. I feel that the onion is a must on this burger. They are all made fresh to order. 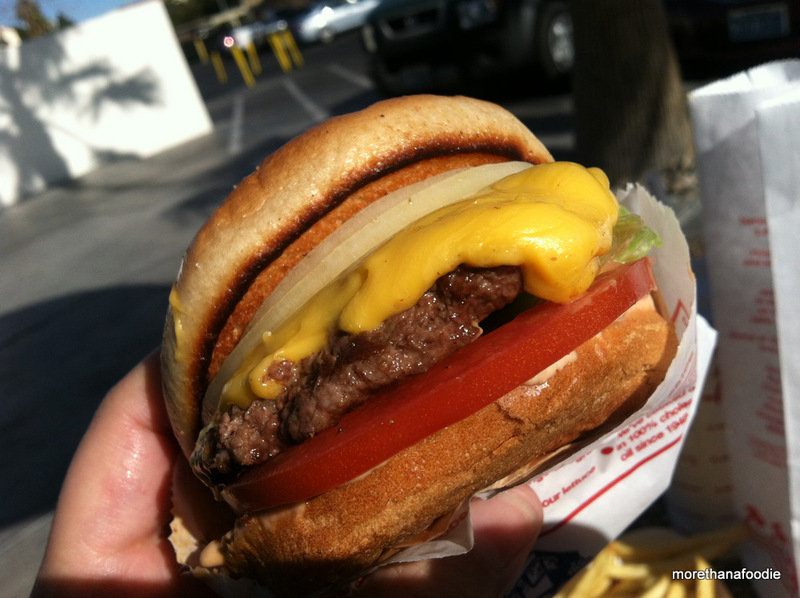 If you are an avid fan of IN-N-OUT or a local you probably know about the “secret menu.” Well it is not SO secret any longer as it is published now on their website! 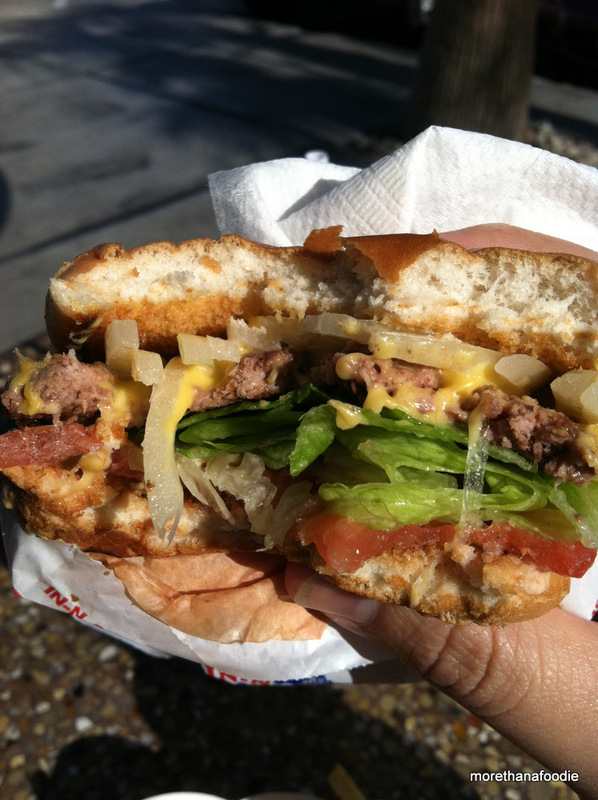 Next time I will try the “Animal Style” burger. 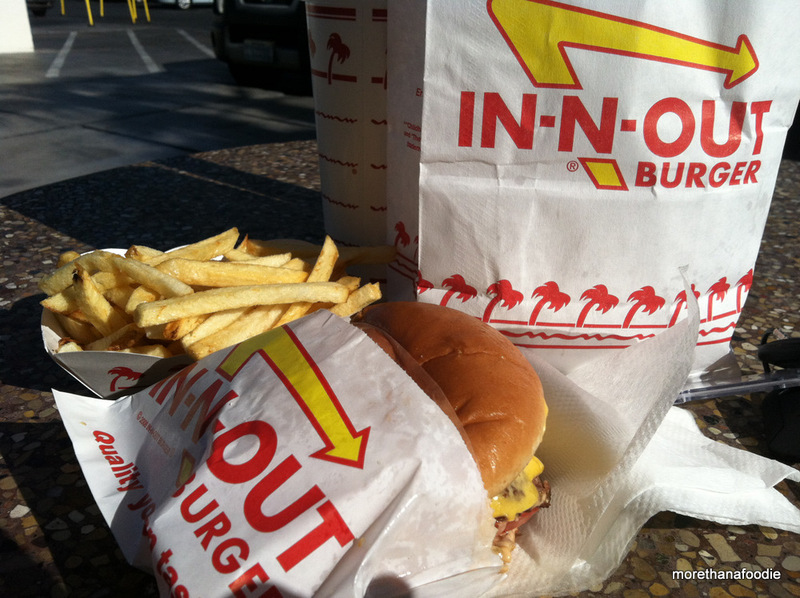 IN-N-OUT Burger can only be found in 5 US States, mostly in the Southwest. If you are visiting Las Vegas and want a great burger, you should go! If you are on The Strip or on Fremont you will need to have a car or take a taxi to find this delicious food. There are several locations in the metro but the closest to The Strip and Fremont are Tropicana/Dean Martin or West Sahara just past Palace Station. I do not recommend you walk unless you like to walk for a long time in busy traffic. It’s worth the cab fare. Stop by in the hours between lunch and dinner rush to avoid the crowds. You won’t regret it!